Explore Historic Evergreen Cemetery’s rich history and landscape using our Self-Guided Tour. The Self-Guided Tour and Map follows a path of 65 burial sites of famous people resting here at the Evergreen. Created by local historian Jean-Rae Turner, the tour details the lives and history of each person highlighted. Authors, Politicians, Celebrities, Veterans, and Clergy are just some of the people you will find on the guided tour. 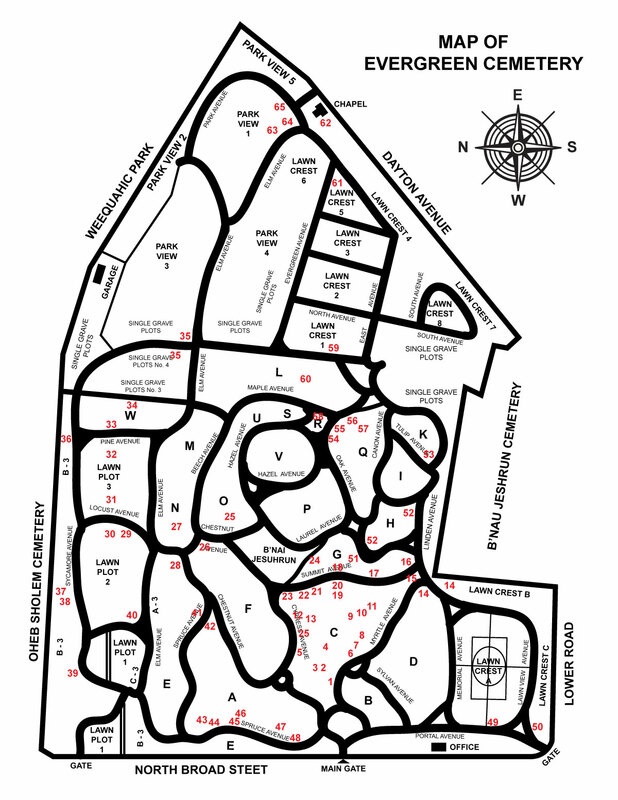 Download the Evergreen Cemetery Self-Guided Tour and Map Printable PDF. Click on map image below to see larger version.